Autumn is upon us, and the season has all but wound down. Are we slowing down for Winter? No! Check out the charming autumnal colours of the 340-cube Dart on the cover, on one man's list of 'Things to do before you're 40'. Or perhaps the '70 Pontiac Catalina, the forgotten full-sizer that can really get up and boogie thanks to a built big-block. 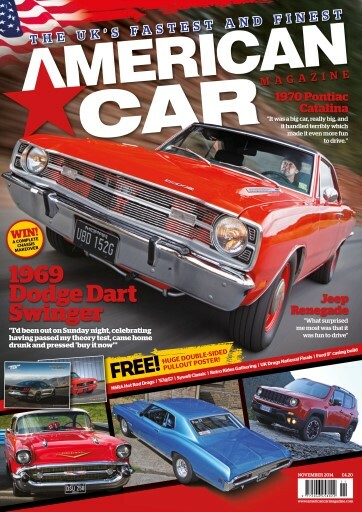 We also test the first global Jeep, the Renegade; visit shows and race meets such as the Sywell Classic and the Hot Rod Drags, and finish off the bulletproof nine-inch build at Hauser Racing. 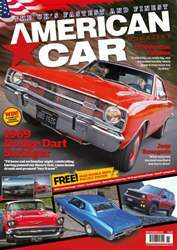 The November issue of American Car Magazine is out now. In your face, winter.